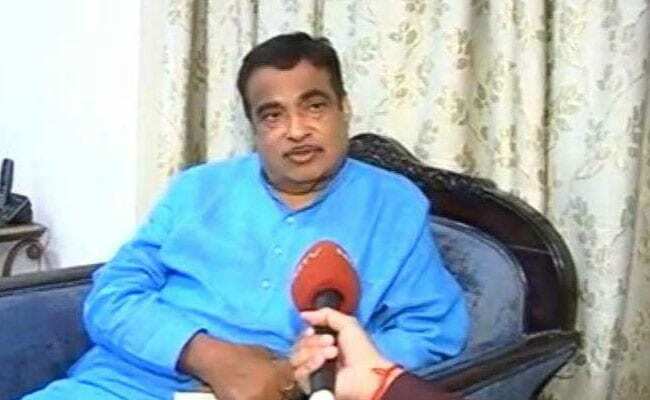 Nitin Gadkari expressed confidence that his party would get a "reasonably good majority" and Narendra Modi would again be the prime minister. Accusing the Congress of trying to politicise issues related to national security, Union minister Nitin Gadkari has asserted it is "not a debatable political subject" and that politics of the 21st is driven by progress and development. The senior BJP leader expressed confidence that his party would get a "reasonably good majority" and Narendra Modi would again be the prime minister. Replying to a question, he said, "In elections there are many important subjects related to the economic situation, some with national security. It is time for people to discuss these subjects." "As far as our ideology is concerned, we are committed towards progress and development and this is the politics of the 21st century," Mr Gadkari said. He, however, opined that issues of national security should not be politicised. "These are not debatable political subjects. Internal and external security are very important for the country. We should think above politics in the interest of people. The Congress wants to politicise this which is not correct," he said. Mr Gadkari said political parties should deliberate on economic policies, developmental issues and increase the level of debate. Highlighting the BJP-led government's works in the last five years, Mr Gadkari, who is in-charge of several infrastructure related portfolios like highways, road transport and shipping, said their economic policies and welfare schemes have achieved the goal of creating an employment potential for poor people. "We have developed infrastructure, we helped the poor, the farmers and the downtrodden with different schemes and also at the same time, there are issues (of national security) which people are discussing... When someone (a political party) talks about something, someone has to answer them," he said. "The BJP has a strong ideological base and nationalism is its soul," he said, adding that good governance and development were the party's mission along with progress of the last man in society -- socially, economically and educationally. "I am confident the BJP will get a reasonably good majority and Modiji will be our next prime minister," said Gadkari, who is seeking a re-election to the Lok Sabha from his hometown Nagpur, which will go to polls on April 11.